Deserts are dry, barren areas where less than 25cm of rain falls each year. They are mostly located in tropical areas, between about 15o and 30o north and south of the Equator. 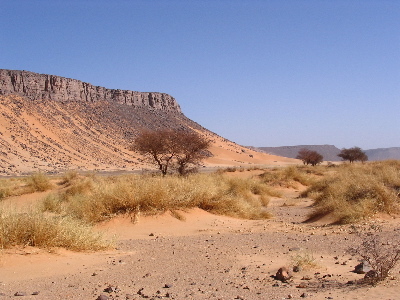 Deserts are found in areas where dry winds blow across the land. These can be a long way from the sea, where moist sea winds do not reach (e.g. the Gobi desert in Asia). They can also be in areas separated from the sea by high mountains, called the rainshadow (e.g. the Atacama desert in Chile). 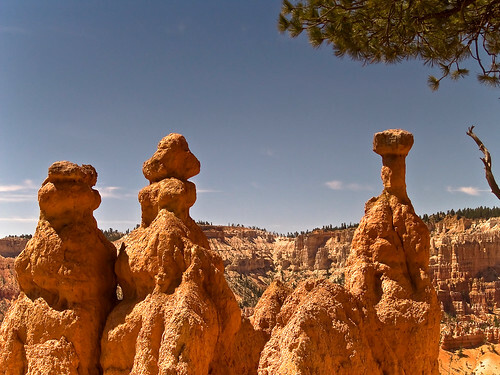 Sandy deserts are made up of sand which has been blown from rock faces to form smooth hills called dunes. The Sahara in Africa is a sandy desert. 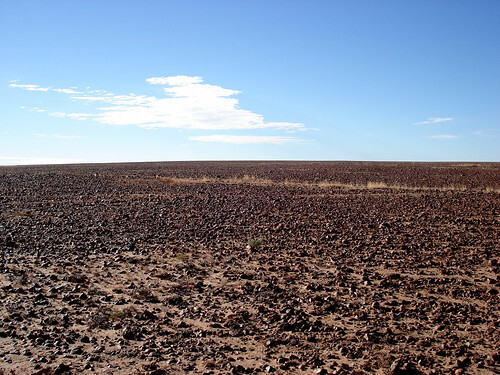 Stony deserts are made up of bare stone, such as the Sturt Stony Desert in Australia, for example. In some places, such as Salt Lake City in the USA, large lakes have dried up, leaving behind a layer of salt crystals. There is little to protect a desert from the action of the wind. Strong winds pick up fine surface debris and blast it again exposed rock, eroding it away to form rock pillars and isolated hills - such as Ayers Rock (Uluru) in Australia. The most common dunes found in sandy deserts are called barachans. They are crescent-shaped and may be up to 30m high. As sand is blown up one side and slips down the other, these dunes can creep forward between 10 and 50m a year and can engulf villages.